Mr. Evans has a winner of a show! He’s an adept, skilled interviewer who has the ability to quickly put his guests at ease. In that way, he can get them to share their innermost thoughts and feelings with the listeners. A perfect example of this is the recent interview with Sampson, the openly gay comedian. It was a riveting eppy of The WOE Show! 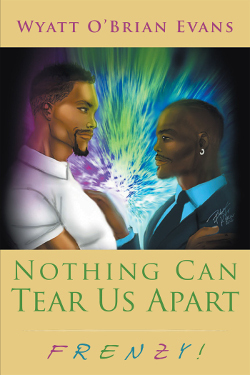 First the novel (Nothing Can Tear Us Apart—RAGE! ), and now The WOE Show! So, what’s next, Mr. Evans? Looks like it’ll be a ‘Triple Play’ soon! All I can say is, ‘WOE’! 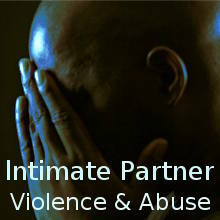 The episode of The WOE Show I like thus far is the one on Intimate Partner Violence and Abuse! Mr. Evans sort of gave a mini-seminar on the issue, and hearing the story of an actual abuse victim made it all so real! Kudos, Mr. Evans! I’m hooked! –Sterling Williams, Santa Monica, California. Gawd, The WOE Show is a freakin’ blast! Wyatt gives something to everyone! And his co-host, Ms. Cuntish Cumshot, is a real trip! I’ll be tuning in each week, no doubt! I’m a survivor of Intimate Partner Violence and Abuse. Therefore, the recent episode of The WOE Show completely devoted to it was so important! A job exceptionally well done, Wyatt! I’m a HUGE WOE fan, so you know I’m tuning in to The WOE Show every Sunday night! 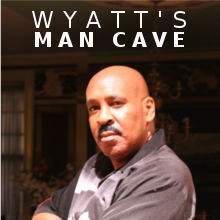 I see that Wyatt’s a talented, skilled interviewer, who makes the guest and the listener feel right at home! The listener really feels that he/she is sitting right next to Wyatt. And hearing his melodious voice is the ‘icing on the cake’! “Wyatt is exceptional at putting his guests at ease and making them feel right at home! This allows the guest to really share what’s on his mind. In this way, Wyatt gets the most out of him—which gives the listener a great experience! –Victor L. Peterson, Detroit, Michigan.